The Billy Graham Rapid Response Team (RRT) deployed to Christchurch, New Zealand, after a shooter killed 50 at Islamic mosques on 15th March. Crisis-trained chaplain Stewart Beveridge witnessed God’s love and hope in the aftermath of the tragic event. 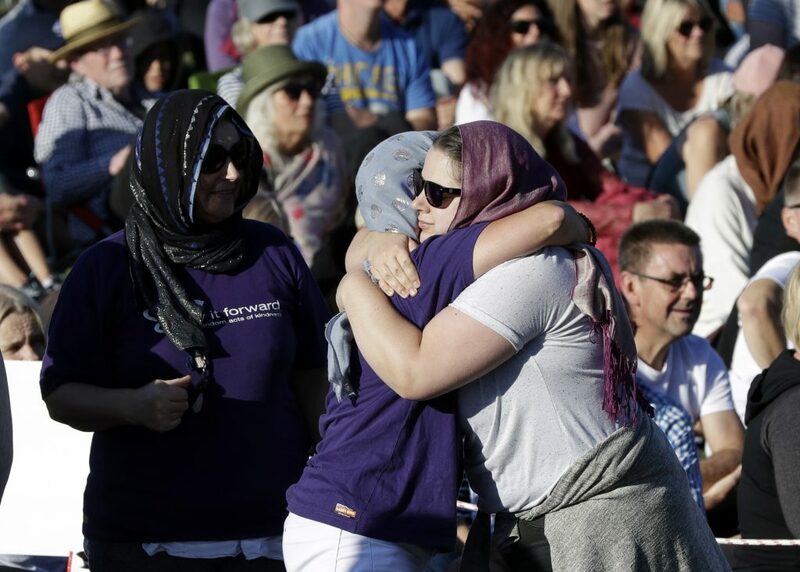 He said, “[God] has shown us whoever is standing in front of us is who we’re called to show compassion.” Above, people embrace during a vigil in Hagley Park. On March 15th, a shooter walked into two Islamic mosques in Christchurch, New Zealand, and took 50 lives in an act of hatred. Within 24 hours, the Billy Graham Rapid Response Team (RRT) was on the ground to comfort the hurting. “Our hearts broke for people because we saw how shattered, distraught and fearful they are,” said Stewart Beveridge, a crisis-trained chaplain who deployed from Australia. Watching the sun slowly rise over his city of Brisbane, Beveridge recalled the three-hour plane ride that landed him in a place where the world seemed to stop spinning. “I was the stranger, standing on the edge of something I didn’t participate in but was there to be with people [and help them] come to grips with the enormity of what happened,” Beveridge said. He compared the moment to walking on ice, realising the severity and necessary caution when dealing with a man-made crisis. Although Christchurch faced a deadly earthquake in 2011, this tragedy rocked the community differently. It was an act of terrorism that stunned Muslims on a Friday they’ll never forget, during their holy day of worship. So, how could Rapid Response Team chaplains possibly help in this time of crisis? Chaplains were able to be there for the grieving by encouraging churches with crisis response briefings and visiting hospitals to spend time with families of the wounded. They helped calm and pray with shaken high schoolers who were put on lockdown during the attack amid rumours about the shooter’s location. And they provided a ministry of presence to those who just needed a shoulder to cry on. RRT offered emotional and spiritual care to Christchurch—even to those with different beliefs. While chaplains desire for everyone to come to know the Lord, they realised this deployment was not the time for theological debate. Instead, they simply loved with no bounds. “The BGEA does not draw lines about who it will care for and won’t,” Beveridge said. “God does not draw lines around who the BGEA can and cannot minister to. “In the eyes of many people, Christians and Muslims aren’t friends,” Beveridge continued. “Why would one do an act of kindness for the other? This compassion was visible as the RRT stood in solitude at a prayer vigil, cried tears alongside those in agony and prayed countless times for deliverance. And slowly but surely, the community’s etched expressions of shock transformed to sombre tones and demeanours during the chaplains’ week-long stay. “The RRT was very much about being present, building trust, and sharing comfort and hope with the desire to have relationship going forward,” Beveridge said. Do you have a relationship with Christ? Know Him today.